For reasons unknown, at least two weather people tweeted yesterday that tornadoes will not occur Wednesday. One broadcast a similar tweet this morning on the same subject. A major weather system will be coming through the central United States at midweek (see below, plus scroll down). I don't know whether tornadoes will accompany it or not. The main question is whether enough Gulf moisture will move into position ahead of the storm. 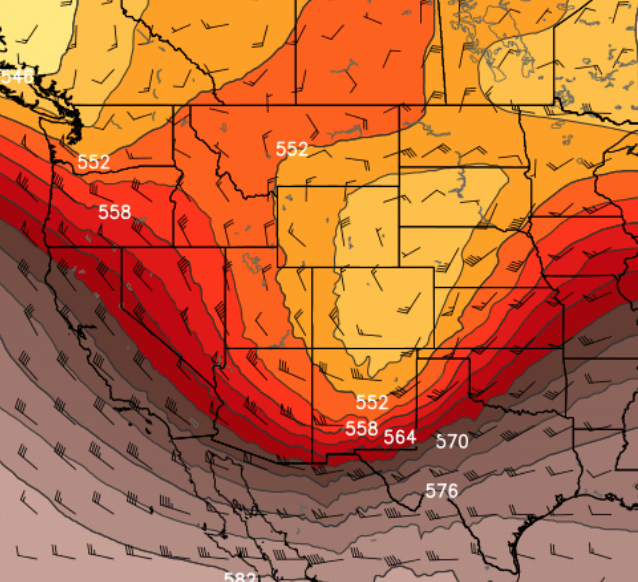 The primary point I wish to make is the meteorological state-of-the-art is such that we cannot make tornado forecasts 4-5 days in advance with any consistent degree of skill. So, please take any attempt to forecast tornadoes, whether yes or no, with a giant grain of salt. The purpose of this blog is no longer primarily one of weather. However, given the possibly of a late-season blizzard plus the first tornadoes of the season (even though it is probably a low risk at this point), I will cover this next storm. So, please stay tuned.